Tony Chu, the cibopathic federal agent with the ability to get psychic impressions from the things he eats, is on a bizarre new case. A newly discovered fruit takes Agent Chu to a remote island full of secrets, strangeness-and a shadowy killer with a particularly sinister appetite. Presenting the second storyline of IGN.com's pick for Best Indie Series of 2009 and MTV Splash Page.com's pick for Best New Series of 2009. 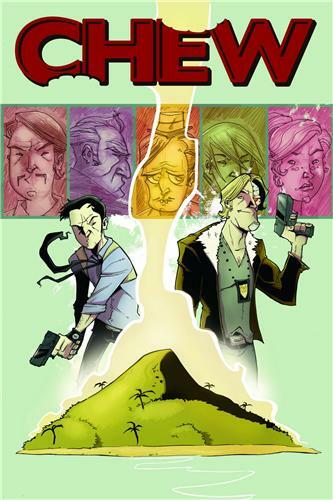 Find out what the fuss is about in this latest a twisted and darkly funny comic about cops, crooks, cooks, cannibals and clairvoyants.